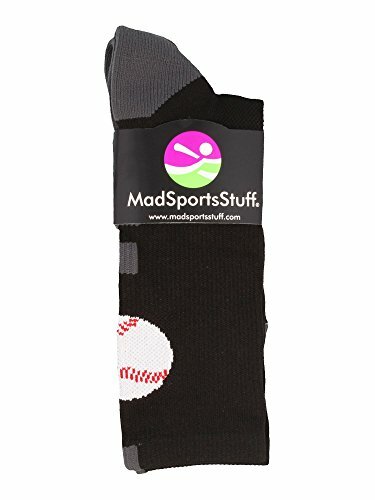 MadSportsStuff Baseball Logo Athletic Crew Socks. 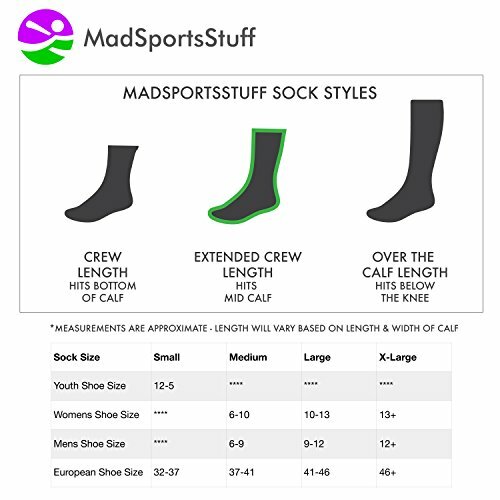 High performance athletic socks for all team sports and elite athletes. 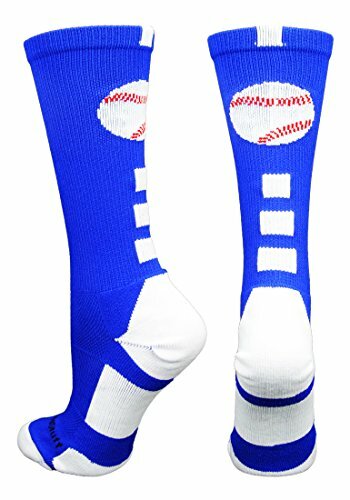 Shoe Size: Small – Youth 12-5 Womens 4-7, Medium – Womens 7-10 Mens 6-9, Large – Womens 10-13 Mens 9-12, X-Large Womens 13+ Mens 12+.PERFECT BASEBALL SOCKS: Add of a touch of fun to the season with this fresh take on the traditional baseball sock. This sock is a crew length (hits mid-calf) and comes in many team color combinations. Sure to be a hit with your favorite baseball player!